F.H. Buckley tries and fails to argue that Donald Trump doesn't need Congress to bomb. F.H. Buckley recently wrote an opinion piece in the New York Post headlined “When the president doesn’t need to ask Congress before striking.” Not to give away the ending, but it’s counter-historical, counter-textual, and counter-constitutional. The article’s audacity is more to be marveled at than imitated. The president always needs congressional authorization for offensive use of the United States Armed Forces. Thus, President Trump’s twin missile attacks against Syria for its unsubstantiated use of chemical weapons against third parties violated the Constitution’s Declare War Clause. It speaks volumes that Mr. Buckley is unable to reference a single word from the Constitution’s framers to contradict Hamilton or Washington. Instead, he decrees in the manner of a Russian czar that the Declare War Clause has become antiquated and may be ignored with impunity, and that wars in self-defense and wars of aggression are indistinguishable, like erasing the distinction between killing in self-defense and first-degree murder. That should shock even the most stone-hearted. The Constitution is not like a restricted railroad ticket, good for this day and train only. Neither is it deaf to changed circumstances or the force of better reasoning. Article V authorizes amendments by two thirds of the House and Senate and three fourths of the States. Twenty-seven amendments have been ratified over the course of 228 years, including the Bill of Rights, the Civil War Amendments, and a two-term limit for the presidency. But Mr. Buckley can no more repeal the Declare War Clause by shouting about its alleged unworkability than anti-gun zealots can repeal the Second Amendment’s individual right to keep and bear arms by decrying the use of firearms to commit murder. Mr. Buckley’s reasoning invites every man to become a law unto himself and pick and choose which constitutional prescriptions to obey. Contrary to Mr. Buckley, the cases of Afghanistan, Syria, and Africa do not excuse flouting the Declare War Clause. In Afghanistan, we are propping up a tottering, corrupt, fraudulently elected, unpopular government that routinely violates the Afghan Constitution. 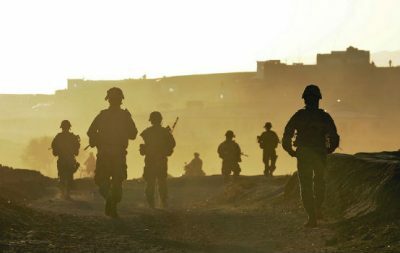 As Mr. Buckley concedes, the feeble Afghan state would immediately collapse in favor of the Taliban if America’s 15,000 mercenary troops were removed. But it is up to Congress, not the president, to decide whether the armed forces should be employed offensively in the hopes of preventing such an eventuality. Why is Mr. Buckley terrified of a congressional vote? Contrary to Mr. Buckley, neither Syria nor Africa confront the United States with a choice between complete war or nothing under the Declare War Clause. As Chief Justice John Marshall explained in Bas v. Tingy, Congress may authorize the offensive use of the military to conduct limited war: limited in place, in objects, and in time. But Congress has never authorized missile attacks on Syria or the use of the armed forces to fight terrorist organizations in Niger or West Africa generally. Both were unconstitutionally dictated by President Trump alone. Mr. Buckley further errantly maintains that the Declare War Clause is much ado about nothing. If asked by the President, says Mr. Buckley, Congress will always approve offensive use of the armed forces whether in Syria or elsewhere. Did he take history lessons from President Trump? In 228 years, Congress has declared war in only five conflicts, and only in response to foreign aggression against the United States. In 2013, Congress refused President Obama’s request for authority to attack Syria. In 1995, it refused President Clinton’s request for authority to conduct military strikes in Bosnia. Congress has the wonderful temperament of a Labrador Retriever. It stays at peace unless attacked. In sum, there may be better ways to destroy and bankrupt our republic than perpetual presidential wars, but they do not readily come to mind. Featured image is from U.S. Air Force/Flickr.